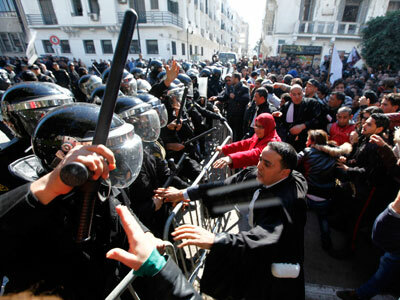 To quell public fury at the murder of an opposition figure, the Tunisian government has promised elections. Amid claims the ruling Islamist-led Ennahda party was behind the killing, Tunisia’s PM pledged a move towards a more secular system. In the meantime, Prime Minster Hamadi Jebali has dissolved the country’s government and installed a technocratic administration until elections can be held. Jebali said the final aim was to create a non-partisan unity government. "After the failure of negotiations between parties on a cabinet reshuffle, I decided to form a small technocratic government," Jebali said to the media. 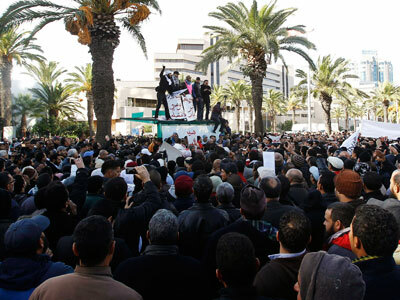 The move was widely perceived as bowing to the mass public rage that followed the assassination of secular opposition figure Shokri Belaid on Wednesday morning. The killing has widened sectarian rifts in a country where tensions are already simmering. Belaid was an outspoken critic of ruling Islamist party Ennahda’s oppressive political tactics, giving rise to popular speculation that it had orchestrated his assassination. The night prior to his killing his supporters claimed he had received death threats after he slammed Ennahda for encouraging attacks on secular party members. 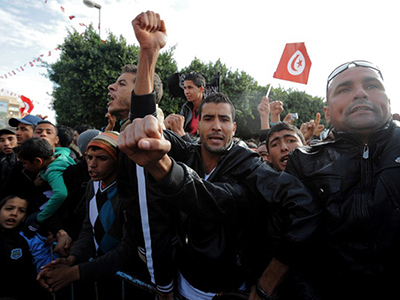 Ennahda is currently the largest party in Tunisia’s ruling coalition. Its supporters have been criticized for public violence against mausoleums, art exhibits and other things that do not concur with their hardline Islamist policies. In spite of the wave of damning claims besetting Tunisia’s most dominant party, Ennahda has condemned the murder as an “odious crime” and denied all involvement. 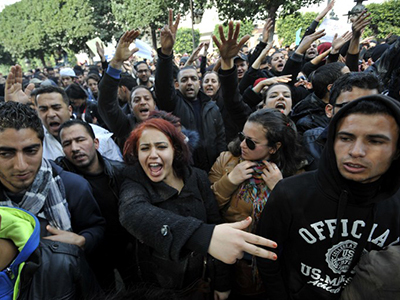 Meanwhile, thousands of opposition supporters have swarmed the streets of the Tunisian capital, Tunis, decrying the current regime. Secular parties the Popular Front and the National Patriots have announced they are pulling out of the national assembly and have called for a general strike. 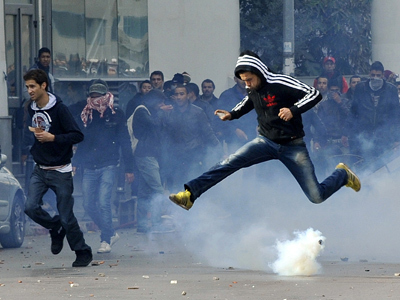 On Thursday Tunisian police deployed teargas in the southern city of Gafsa to disperse hundreds of men who had gathered to protest the killing of Belaid. The protesters continued to throw stones and chant slogans as police fired teargas to break up the violent demonstration. “They have continued with the same regressive and negative policies that have been undertaken by their predecessors,” Makki told RT. 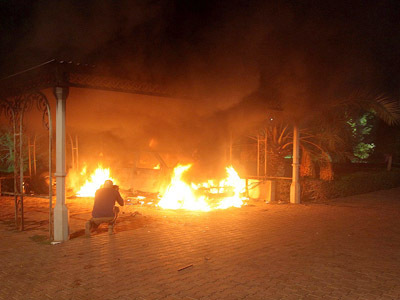 In contrast, journalist Adnen Chaouachi said there had been rumors that “foreign hands” were behind the assassination and were attempting to “hijack the revolution” and spread anarchy in Tunisia. Chaouachi emphasized that a large portion of Tunisian society would prefer to wait for the results of the investigation into Belaid’s death before jumping to any conclusions.